A question we often work to answer when developing activations with our clients is how we can ensure that they drive adequate scale to positively impact the business. Scale is inherently rooted in the need for “size,” and its traditional definition is the number of impressions needed to reach enough target consumers with great enough frequency to convert a very small percentage of them to purchase. That traditional model is built on the idea that reaching a huge number of people who don’t care will yield a tiny number of people who do care. But that model is broken. Scale based on “impressions” lends itself to the old, traditional marketing funnel of reaching many to covert few. This model has proven to be inefficient and obsolete as consumers increasingly opt out of mass communications experiences. Scale often defaults to paid media impressions, which are becoming less and less effective due to low engagement, fragmented media channels, impression fraud and questions about ad view-ability. Paid impressions are also inherently flawed as a medium because they assume increases in awareness will lead to behavior changes and purchase, which is doubtful at best, and, in fact drives a less efficient ROI over time. Scale also ignores internal brand assets, customers, and consumer advocates, all of which can be valuable resources for driving purchase. Delivering impact at scale should be our goal. When marketers plan for scale, the question they’re actually trying to answer is how their brand initiatives will drive sales. By focusing instead on a holistic view of impact, one that goes beyond sales and touches all the parts of the consumer journey, it’s possible to drive a much larger aggregate impact. But it takes a little more thought than a simple impressions-based model. We have to fully understand the business situation, business goals and our target consumer to identify as many potential business opportunities as possible. By understanding all potential touch-points, we can focus on different groups of consumers (current, past, or present buyers) and tailor different initiatives for those consumers. In other words, activations that target different kinds of people shouldn’t necessarily look alike. Finally, by understanding the different goals of each activation, and the different ways they can drive consumer actions, we’ll have a better idea of the business impact we expect to deliver. That means we’ll also be able to make more informed decisions about which activations to pursue. For activations to make a difference in sales, they still have to have some of the trappings of scale; they must reach enough target consumers, and deliver enough value to change consumer behavior, whether it’s purchase or loyalty. We’re working to develop several models, through testing and adaptation with our clients to maximize the impact of activations without relying on paid media. When you consider all the potential interactions a consumer might have with your brand, you can find opportunities to reach a smaller group of the right consumers in ways that create a much bigger impact. For example, think about the emotions your product might evoke at shelf, when it comes into the home, or when it’s unwrapped or unboxed for the first time. Or what consumers see when they search for your brand online or need help using it. These are all moments that can either turn a brand impression from positive to negative or dramatically reinforce brand loyalty and potential values matching. Blue Bottle Coffee – Blue Bottle delivers a high touch experience at every step of their consumer’s journey. They tailor the shopping experience to the shopper’s brew method, optimize packaging for freshness, and re-engage consumers post-purchase with educational materials about how to brew the best coffee possible. Consumers are as much as 10 times more likely to act based on the opinions of their peers than on those of brands and influencers. By offering consumers actions and symbols that encourage sharing and even personal identification with the brand, you can empower your own herd of consumers to influence one another. Black Milk Clothing – By fostering collaboration with their fans, Black Milk has formed a legion of dedicated young fans called “Sharkies.” Each of the brand’s garments has a dedicated hashtag with which fans can tag Instagram photos of themselves wearing the clothing. Fan photos and selfies have become the backbone of the brand, increasing purchase as women see what other real women look like in the clothes both in social and on the brand’s site. Partnering with like-minded companies, organizations, businesses, and people who share your brand’s values is a way to create new products, services, or experiences. Brands who have adopted a shared-value business model often see more invested suppliers, new distribution outlets, better start-up investments, and, most importantly, mores consumers. 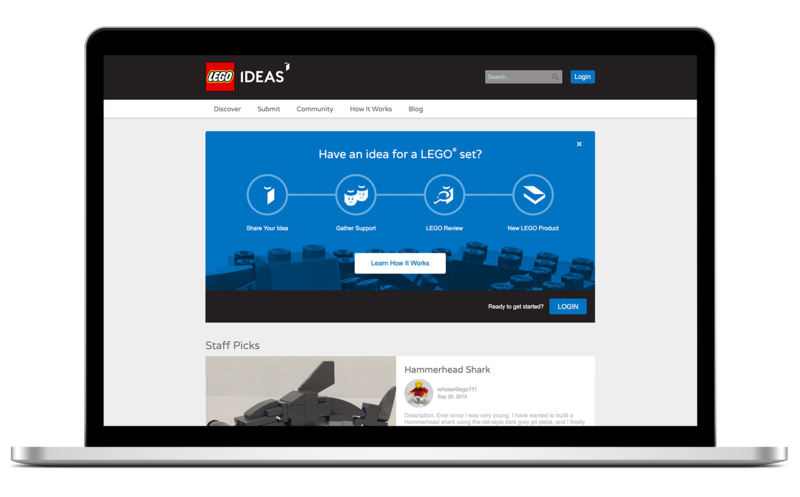 Lego Ideas – Lego partners with brand enthusiasts by asking them to submit their ideas for new Lego products, and then gives community members the chance to vote on them. Once an idea gets 10,000 votes, many of which are often fueled by social sharing, it goes to the Lego review board. If it passes review, Lego produces the new set, and the original designer gets 1% of the royalties. One of the best ways to increase penetration and loyalty is by increasing the number of channels you use. By placing the brand in additional and diversified channels, you can reach more consumers – and you can do it in unique ways that make a much bigger impact. That’s especially true when you explore alternative or new distribution outlets that speak to niche consumer groups. Angie’s Popcorn – Like most startups, Angie’s Popcorn had a hard time getting shelf space at retail outlets. So the brand took pop-up sales tents to some of Minnesota’s most beloved sporting arenas. Not long after, Angie’s popcorn became the official snack of the Minnesota Vikings, and, soon after, of Minnesota Twins. As a result of this increased presence and the demand it created, the brand has gained distribution at several national retailers. By limiting the availability of your product (ex. Beta launches limited time offers) you can often reduce upfront investment while creating increased demand. This kind of manufactured scarcity offers a couple of advantages: it gives you the chance to test a product or service without spending any more money than necessary, and it gives consumers the impression, assuming those products or service are well received, that there’s a sense of urgency attached to the product’s availability. OnePlus Smartphones – Launched in 2014, the Chinese Smartphone manufacture started its business by offering an invitation-only smartphone. Because the price was just $300, the brand needed to limit supply in order to grow sustainably while still offering a high-quality product. As word about OnePlus spread, consumers clamored for invitations, driving demand. As a strategy, it worked perfectly – the OnePlus 3 will be offered en masse later this month, their first product available with no invitation. Monitoring consumer discussion or actions relating to your brand in culture gives you the chance to find and exploit your consumers’ passions. But, beyond that, it makes it possible to take part in a conversation that you’re a natural participant in, rather than messaging your way into areas where you don’t belong. There are also ways to develop new and unique cultural moments for your brand that can make you relevant to groups you’ve never communicated with before. Red Bull Events – Red Bull constantly builds upon their own brand culture with events like Flugtag, Crashed Ice, eSports, and Motorsports, Red Bull not only creates excitement for their own brand, but also feeds their media networks with owned, monetized content. In effect, they’ve gone from being a energy drinks brand to being an extreme sports brand, creating their own entirely new and culturally relevant ecosystem. We’re excited about applying different elements of these models in the work we’re doing with our clients. No two brands are alike, so there’s no one-size-fits-all approach, but we’ll be working on layering multiple models together to create the biggest impact possible in each situation. Some may be successful, and some may require us to go back to the drawing board, but they’ll give us ample opportunities to learn more about what works, what can be improved, and even how we can develop entirely new ways to drive scale via impact, rather than simply through impressions. Stay tuned.